We are proud to provide a long term solution to all of your plastic surgery, aesthetic, and cosmetic care needs. At Madronich Plastic Surgery and Laser we offer traditional plastic surgery solutions as well as non-invasive aesthetic procedures. 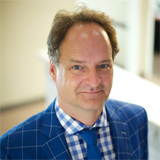 Dr. Robert Madronich is a Toronto Plastic Surgeon and a member of the Canadian Society of Plastic and Reconstructive Surgeons. He holds double board certification with both a Plastic Surgery Fellowship as well as a Head and Neck Plastic Surgery Fellowship. Request Your Consultation Current Specials We are proud to provide a long term solution to all of your plastic surgery, aesthetic and cosmetic care needs. At Madronich Plastic Surgery and Laser we offer traditional plastic surgery solutions as well as non-invasive aesthetic procedures. Madronich Plastic Surgery offers a full range of cosmetic surgical procedures including breast augmentation to dramatically improve and enhance your appearance. Rejuvenate your skin and reduce signs of aging through the latest available technologies and injectables including Botox® cosmetic and Selphyl™. I believe in a straightforward approach. I listen, I learn what each individual patient is looking for and what's bothering them, then let them know what's possible. We make the final decision together. Dr. Robert Madronich offers a wide range of surgical and non-surgical procedures including breast augmentation, liposuction, tummy tuck, and Botox® to patients in Toronto, Vaughn, Richmond Hill and Markham.